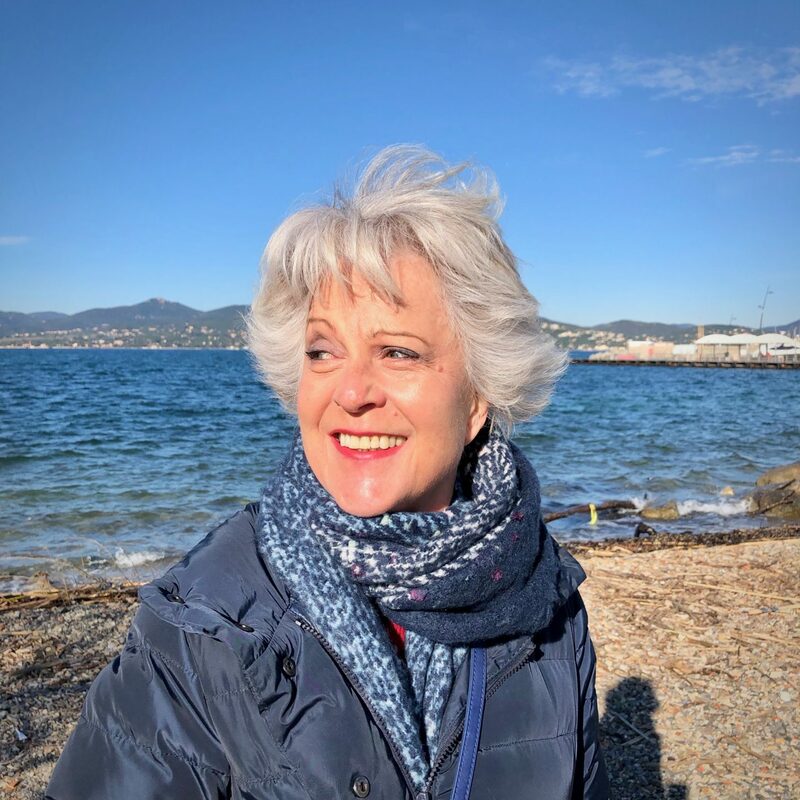 I was sitting in my favourite hairdressers in St.Tropez last Thursday waiting to have my hair cut by the wonderful Sandra at Jean Louis David. I was flicking through the latest copy of Elle magazine when I noticed a very chic French woman of a certain age around the salon. She was dressed very simply in a pair of straight leg jeans tucked into black knee-high boots. On top, she wore a simple blue shirt under a V neck grey sweater. I have attempted to put together a similar look to the one worn by the woman in the salon. 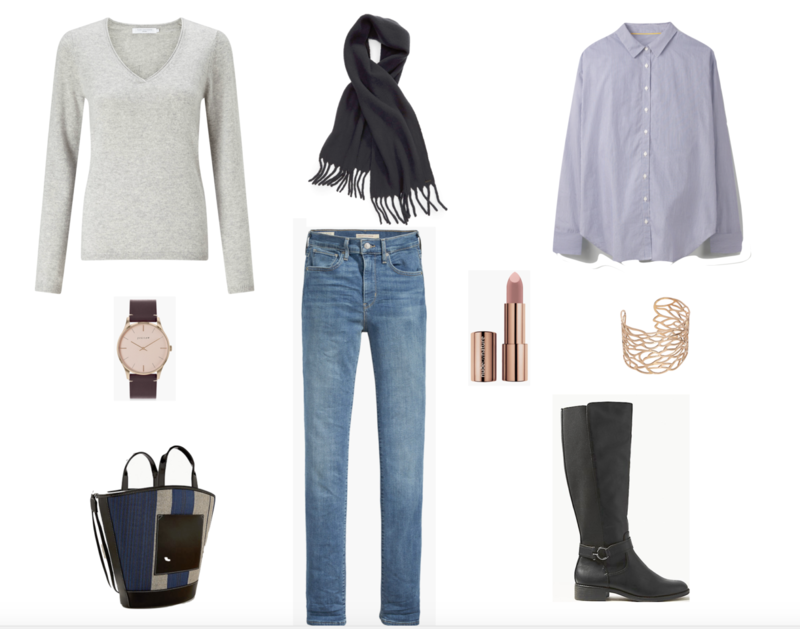 Grey V neck sweater John Lewis / Navy blanket scarf Nordstrom / Blue shirt Boden / watch John Lewis / Straight leg blue jeans John Lewis / Rose gold leaf cuff John Lewis / Black knee length boots MarksandSpencer / Colour block shopper MarksandSpencer. What I have observed consistently about chic French women in Paris and the South is that their outfits are often very simple. They tend to stick to what appears to be good quality basics. They then add a couple of stand out accessroies. I forgot to mention that she had a large gold cuff worn on the outside of her sweater sleeve. A no-nonsense practical outfit with a touch of glitz. Well, it is St.Tropez after all and the women there do like a bit of glamour. I also noticed some finer details such as the cuffs of the shirt were not buttoned up nor was the collar. This added a touch of “decontracte” or casualness to the look. Something that I often see in French women. They are more prone to slinging a scarf round their neck as opposed to tyeing it in a neat knot. Once again I was very pleased with my haircut. Sandra at Jean Louis David in St. Tropez is a genius. My style is so easy to maintain. She also added a touch of colour to the back of my hair to even up the natural grey at the front. 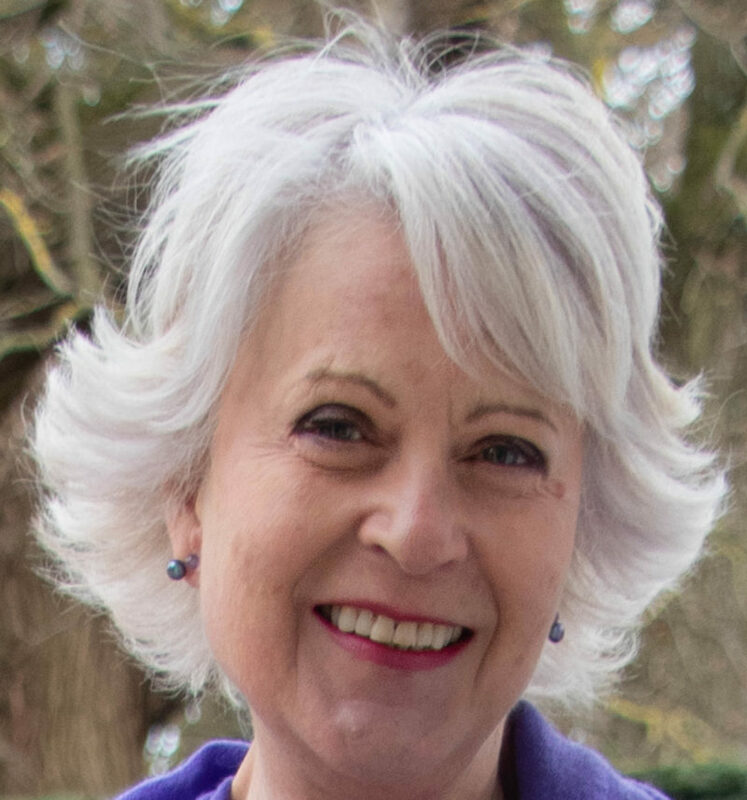 Whether you choose to embrace grey hair or continue to colour is entirely a personal choice. Personally, I embrace my grey locks and adjust my make-up and the colours that I wear to show it off at its best. .
Next Post Tricky time of year style wise Combining neutrals. I often wear a shirt with cuffs undone and rolled once over a light sweater. It just feels right! But the cuff outside..hmmm. Will have to try that. I’ll be over in March and I think a trip to John Lewis is in order!! I have sometimes spoken to women who I think look particularly chic, to say how good I think they look-bearing in mind the situation as this is not always appropriate! I find they have responded with pleasure and, when it has (occasionally) happened to me, it really makes my day. Like you, Josephine, I find a good haircut a great boost; currently my usually excellent hairdresser has had a mental aberration and left me with a very lopsided look. The only remedy is for it to grow and it is like the proverbial watched pot not boiling. I am sure the short bits are shrinking, not growing. It is infuriating to an extent totally out of proportion to the problem! I am rising above it, but only just…..
I’d love to have seen a pic of your chic French lady, but while a comment can be well received, she may not have been so keen to be photographed! I think those of us on the over fifty side do not always want to be papped and certainly not selfied like those raised in the digital age. The lady in question was busy having her hair done so it did not seem appropriate to ask for a photo. I am sure a lot of women would not mind but I always feel a bit shy asking but as you say it is a compliment. Also they might not want to be public on a blog. Hope your hair grows soon. I am heading to France in the Fall. Your tips are very helpful! My hair has become the bane of my life. It’s baby fine (my hairdresser’s comment) and could do with setting every 48 hours. I do think a great hair style is worthy of praise and have complimented two strangers over the years. Both used the expression, “You have made my day”. It was a sincere comment on my part and I learnt the names of the hairdressers involved.Alas they were miles away! Even a simple outfit looks good with a great hair style. Good for you. I agree I would be very flattered if somebody admired my hair and asked for the name of my hairdressr. When my hair is right it definitely enhances what I am wearing, even if it is very casual. Every time I’ve seen a woman wearing something of excellent quality I discover it’s a French woman. This has happened quite a few times. I was wondering where this quality comes from. I’m writing from lala land Los Angeles, The land of tights and flip flops. It is a difficult question to answer. French mothers from my observation are fairly disciplinarian so I think it starts at an early age. When I watch women in the food markets I notice that they take time inspecting and choosing the best products so I guess this strategy may be useful when choosing clothes. Think the cuff could be from Les Georgettes. They do 3 widths and you can get double-sided leather inserts to match your outfits. I got mine in Sweden at Christmas and love it. I too have baby fine hair, Marifach. Hairdressers always advised having layers, to give volume, until the one I still go to. He told me to grow out the layers as one length gives a betty impression of fullness. He is right! I have a simple short bob and fringe. I wash my hair in the shower every day. How about some articles on hairstyles for ladies of a certain age? Yes, I know we’re supposed to forget the rules and do as we wish, but in reality, a bit of advice is always helpful. It would be difficult to do an article on hairstyles as every woman is individual. Hair condition, face shape etc. It is best to visit a good hairdresser with a good reputation and get some professional advice. It is often worth doing to a top hairdresser for a good cut and then you might be able to get a more budget friendly one to copy the style. I can do a post on haircare which might be useful. Hair at this age can sometimes be a frustration. I was in a supermarket the other day and saw an older lady looking so good – her haircut was short modern and she embraced the grey. I told her how lovely she looked and how her hairstyle suited her so well. She was chuffed and had no problem with me photographing the back and front of the style……My haircut has always been important to me…..My regular stylist is off work to have a baby…now to find someone in the interim. A friend told me the other day that she is more scared of a hair stylist than she is of a dentist….Now that says it all. A LOVELY HAIRCUT!I’m off TODAY for the SAME!!!!! HOW fun you can get your hair done in ST. TROPEZ! Hair cut for me tomorrow, thank goodness as family commitments have resulted in a much too long gap between appointments. I know I must listen to my hairdresser as my hair dislikes the cold now damp weather here in the north of England and I am tempted to say “Cut it really short!” Regrets will follow so I must be strong. I’m glad to hear that a simple look is popular in Paris. I’m planning my first visit in May and I’m already thinking about what to pack!